Steve Jones of Green Bay recently won a brand new motorcycle courtesy of Vandervest Harley-Davidson and paid for by Hole In One International. 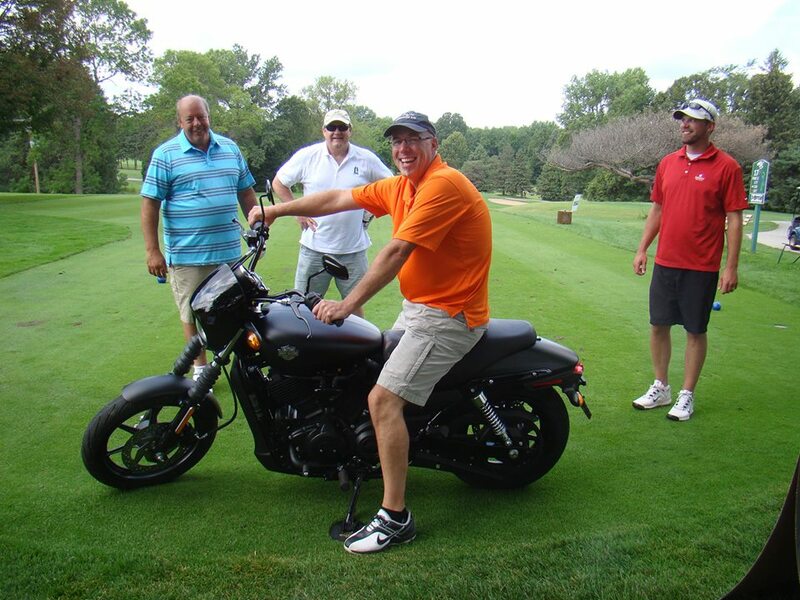 Jones won the motorcycle when he aced the 180-yard 17 hole at Brown County Golf Course with a 5-iron during the 8th annual CASA Classic for Kids golf outing. It was Brown’s first hole in one. According to Paul Grover, Administrative and Development Specialist, this year’s CASA Classic raised $39,000 in support of the work of providing trained volunteers to represent the voices of abused and neglected children in court. Want to give a lucky golfer in your community the chance to win a huge prize? Hole In One International makes it fast, easy and affordable. To learn more about putting contest insurance or to get a putting contest insurance quote visit our website or give us a call today at 800-827-2249.